Star Tobacco International is a globally trusted and experienced wholesale tobacco leaf supplier. It is a large part of our activity – managing B2B connections with the retailers who trade our products. We strive to be a high-quality supplier as we are practicing to secure exceptional standards in wholesale tobacco leaf business. Burley is a light air-cured tobacco used mostly for producing cigarettes. Burley is available in many other countries, but the primary production is in Brazil, Malawi, and Argentina. Burley contains little sugar and different flavors for blending purposes. Available in threshed, loose leaf and hand stripped forms. Virginia tobacco is named after the US state of Virginia, where it was first cultivated. Available in threshed loose leaf and hand stripped forms. Flue-cured Virginia tobacco is also referred to as bright tobacco because of its yellow to orange color achieved during curing. It grows particularly well in regions with rainfall, such as Georgia (USA), southern Brazil and Zimbabwe. It is used in almost every cigarette blend. Philippines and Indonesia: both countries have a deep tradition of cultivation, and their most-famous product is dark air-cured tobacco. Mostly used in cigars, dark cigarettes, pipe mixtures, chewing, and other smokeless products. Available in butted loose leaf, straight laid leaf and hand stripped forms. Fire-cured tobacco is processed by hanging Virginia tobacco in large barns where fires of hardwoods are kept on constant low smolder. 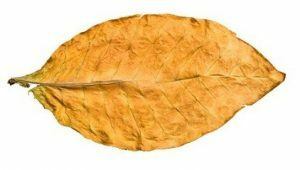 The process usually takes up to ten weeks, depending on the process and the tobacco. Fire curing produces a tobacco low in sugar and high in nicotine. Pipe, chewing tobacco, and snuff are fire cured. Available in butted loose leaf, straight laid loose leaf and hand stripped forms. Also mentioned as Turkish tobacco. The name “Turkish” refers to the Ottoman Empire, which controlled the regional agriculture areas between the 19th and 20th century. It’s intensely aromatic and small-leaf natured. 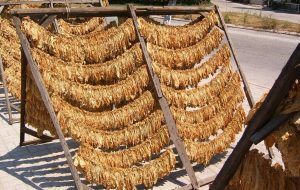 Oriental tobacco involves the process of sun-curing. Origins of the leaf belong to Bulgaria, Greece, and Turkey, but it is now also grown in Egypt and South Africa. The sun-curing process of oriental tobacco. Where to buy wholesale tobacco leaf? If you are interested in bulk tobacco leaf, you can trade directly from STI, by simply calling +90-212 227-9668 and talking to an actual person. Phone support available from Monday to Friday between 9:00 a.m. to 5:30 p.m (GMT+3). You can also reach wholesale tobacco leaf suppliers guide by Tobacco Asia magazine. Our goal is to build mutually beneficial relationships, empowered by trust and integrity, with our trade partners globally, regionally and locally. 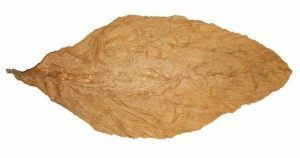 We also have access to hundreds of different tobacco grades and varieties that are not listed on this page. Please contact us to discuss your specific needs. Pricing will be provided promptly after we understand your requirements. If your inquiry is about our operations or business in a particular country, please contact our local teams. ***Minimum wholesale orders start at two metric tons. To get a personalized quote, please contact us to discuss your needs.